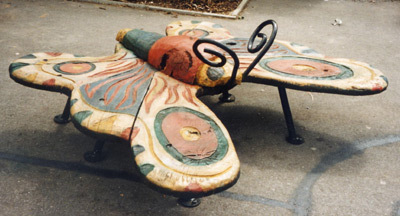 ‘Butterfly Bench’ was part of a World Health Organisation funded project at Westwood Primary School, Oldham. 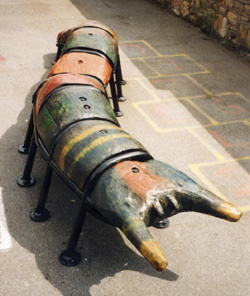 A 99% Bangladeshi School with a rich visual culture that enthusiastically designed 3 sculptural benches for the playground area, a Spider, a Butterfly and a Caterpillar. 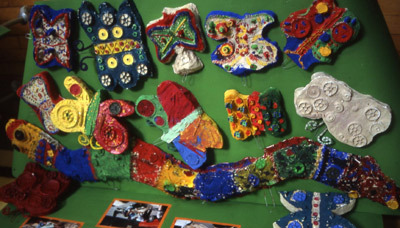 Drawings, Paintings and Plaster Press Moulds were exhibited to show the design process of what soon became known as The Big Bug Project. 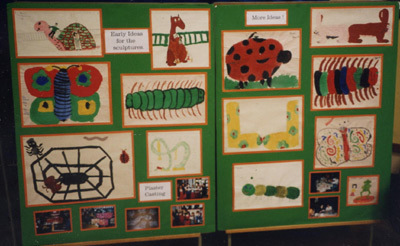 The Children painted the completed Benches and put together an amazing Opening Celebration with Bug Dances, Bug Costumes and Bug Food.